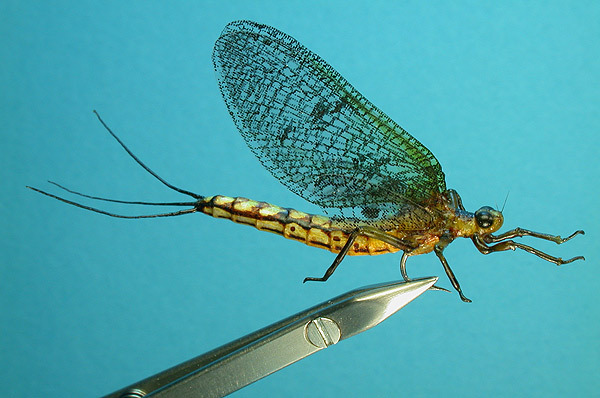 The most important ecological consideration of the mayflies is their value to fish populations. Many kinds of fish eat large amounts of Mayflies in every stage of their lifecycle. 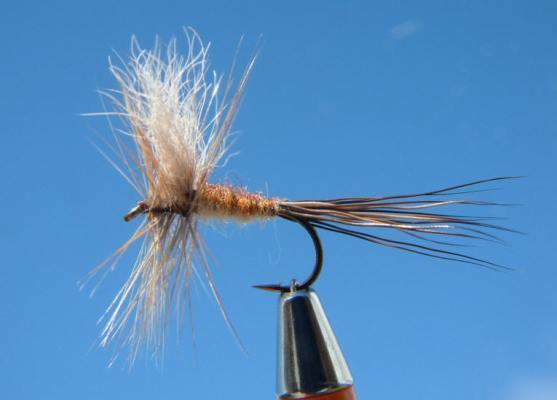 In particular mayflies are particularly important as a part of the smaller fishes diet which are in turn a food source for larger fish. Mayflies are herbivores that eat numerous forms of plants including algae, rooted aquatic vegetation, and plant debris. This is crucial for food webs because they bridge the gap between plant production and fish production by using plants to create an appetizing meal (themselves) for fish. Between the nymph and subimago stages they are particularly vulnerable to fish. Examples of particular fish that may eat mayflyies are yellow perch, channel catfish, and small mouth bass, click on the respective links to learn more about these organisms. When mayflies take flight they become a food source for even more organisms such as birds, bats, and predatory insects (Leonard, 1962). As if those weren't enough predators, the mayflies have several more organisms to worry about once they reach their shelter to make the transition from subimago to imago. Here they are a food source for jumping spiders, wolf spiders, predaceous beetles, and even mammals including flying squirrels (Leonard, 1962). It goes without saying that even though humans do not eat mayflies directly, they still have a major affect on us as a species. 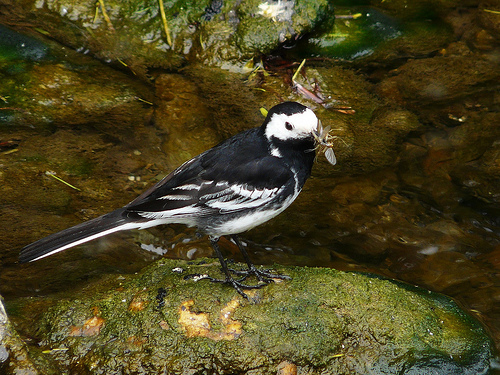 Without mayflies playing their crucial role in aquatic food chains many species of fish could die off which would be a huge problem. Aside from their role in food chains, mayflies still can have an affect humans just by their shear numbers. 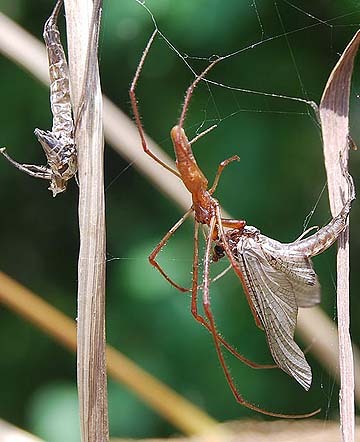 The diversity of organisms that interact with these flies directly or indirectly is a testament to the mayflies importance to ecological food chains. This is the area where mayflies are particularly i nteresting to me. My dad, brother and I go fishing up in Ontario every summer on Eagle Lake (Andy Meyer's Lodge). The reason we went there in the first place is because we kept hearing how awesome the fishing is in Canada. Our first year on Eagle lake we barley caught anything and couldn't figure out why the fish weren't biting. It wasn't until we were there for a couple days until we started to inquire a bout the large masses of dead insects floating on the surface of the lake. They were mayflies! We had arrived on the lake days after their hatch and the fish were eating so many of them that they didn't want anything to do with our minnows or lures. Every year from then on we wait to go up until after the mayflies hatch and fishing has been as advertised ever sense. So I can say first hand that mayflies are a major food source for fish of all kinds because we couldn't catch a thing while they were a viable food source. Where mayflies develop has been mentioned so far, but to get a more in depth description of their environment, check out the habitat page.